We’ve all seen drivers with bad habits right? There are the constant lane changers, the tailgaters, The guys who blow by so they can have the honor of being the first car at the next red light, Sunday drivers and all the rest. For those people, these hacks will be worthless. Lower Your Seat Lower Your Speed. If you drive an SUV or pickup truck and you find yourself coming up on the car in front of you faster than you thought or you have to brake harder than expected try lowering your seat. Studies show that the higher you sit in a vehicle, the slower you think you’re going. It’s not hard to understand. When you are sitting inches above the pavement in a Mazda MX 5 accelerating to 50 or 60 is an entirely different experience than the same acceleration in a full-size Toyota Tundra pickup. The closer you are to the street the greater the sensation of speed. Lowering your “tall ride” even a bit will give you a better feel for just how fast you’re going and reduce the wear on your brake pads. Drive in the Center Lane. Play the odds. Traffic studies show that the inside and outside lanes of a freeway or city boulevard have more accidents than the center lane. Not surprisingly, accidents in outside lanes are caused by speed while merging traffic is the biggest problem on inside lanes. Take yourself out of the game and drive where the odds are with you. Roll Up Your Windows. Everyone knows running your air decreases gas mileage right? That’s true when you are in town or in bumper to bumper traffic but not on the highway at speed. When the windows are rolled down they create more gas sucking drag. This isn’t an issue at slow speeds but when you hit the freeway it can have a significant effect on your fuel consumption. Roll up the windows and turn the AC on to “recycle mode” which is the most efficient setting. Shift to Neutral When You Stop. This one will take a bit of use before it becomes a habit but it’s worth it. When you stop at a light keep your foot on the brake and shift into neutral. Engaging neutral significantly reduces the amount of heat carried by your motor’s cooling system, reducing wear and tear on your engine. As an added bonus you will also improve your gas mileage. Get that Lump out of Your Back Pocket. If your daily commute is more than 15 to 20 minutes or if you are planning a road trip, pull that wallet out of your back pocket, put it in a side pocket or put it in the center console or glove box. Your wallet raises one hip higher than another essentially twisting your spine (however slight) which can cause pressure on the sciatic nerve and can strain your lower back. The thicker the wallet the bigger the problem. That’s the hacks. Use them consistently and you’ll see an improvement in mpg and lessen the odds of an accident or ticket. 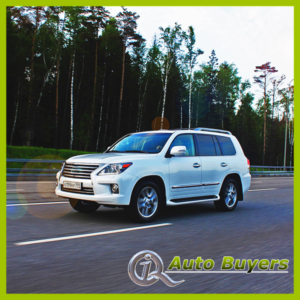 For more tips like these visit our blog at IQ Auto Buyers.